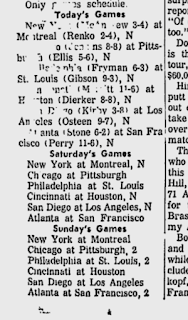 A couple of weeks ago, I was starting to go a little overboard on the 1970 NHL season. Anyway, that passed. 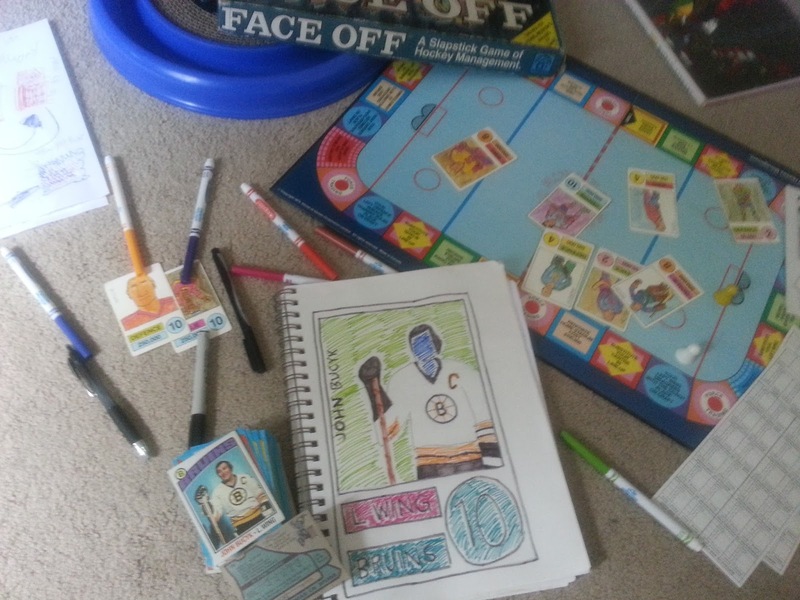 But I did want to mention that the Boston Bruins ended up wining the 1970 Stanley Cup. 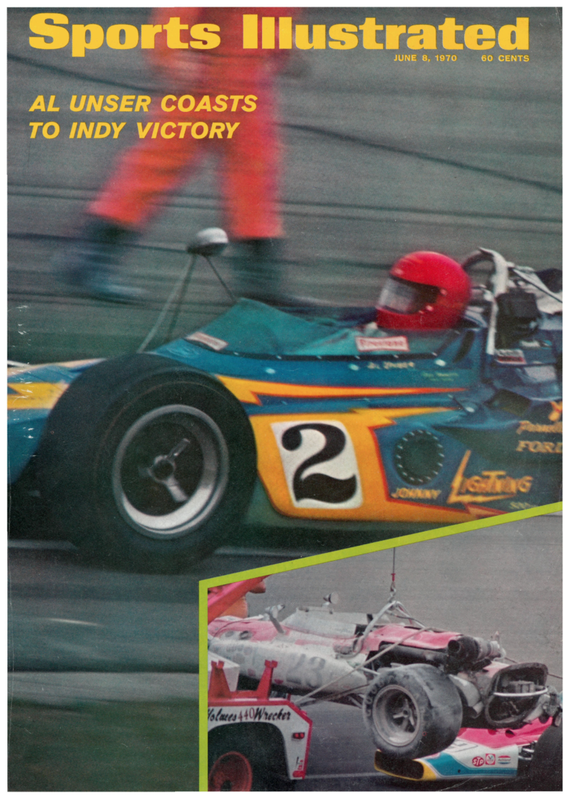 Other winners so far in 1970 include the Knicks in the NBA, Al Unser at the Indianapolis 500 and Tony Jacklin at the U.S. Open. It's so great having the SI Vault back. 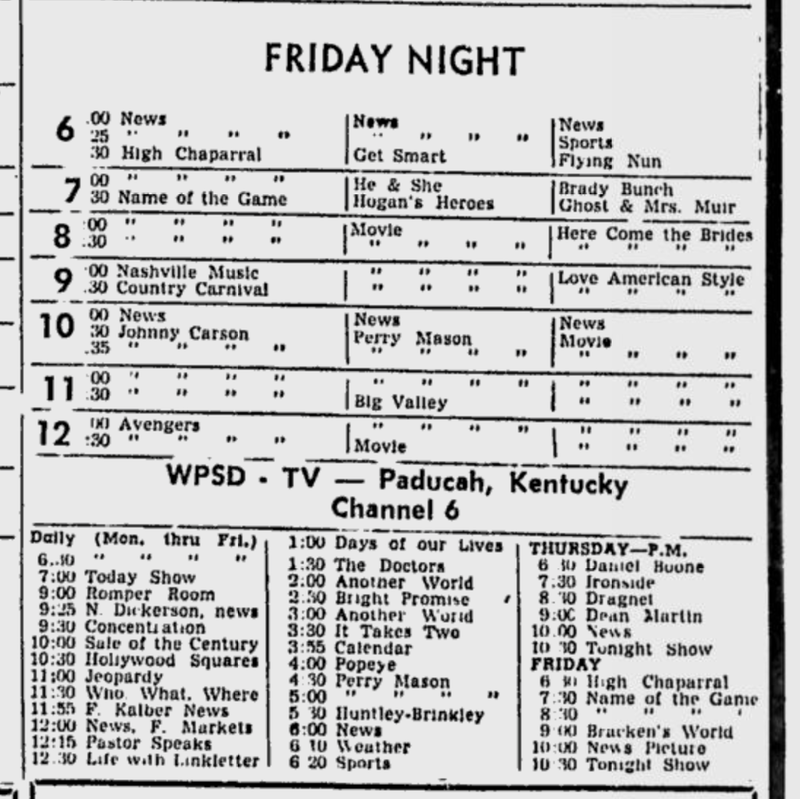 Here's what's on TV in Hoptown this weekend starting Friday, June 26, 1970. It's time for me to get serious about paying attention to this baseball season. It makes me awfully happy to see that episode of NFL Action Sunday afternoon on CBS. 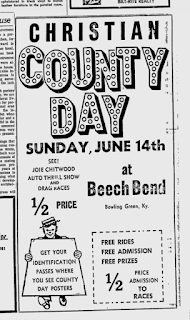 Hoptown 1970 me missed Christian County Day at Beech Bend--but not the Loretta Lynn show next week at Kaintuck Territory. With that trip over to Gilbertsville coming up early next week, I'll probably stick close to home over this weekend--other than maybe a quick run out for some takeout. 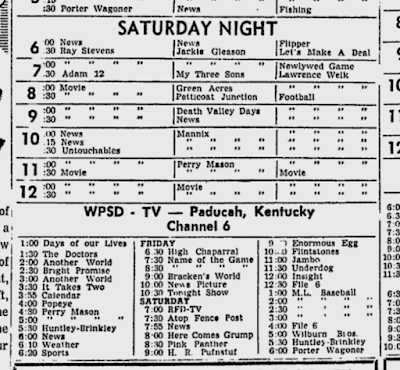 While I'm was doing my housework yesterday 1970 (Friday, June 26), I checked out some daytime programming. 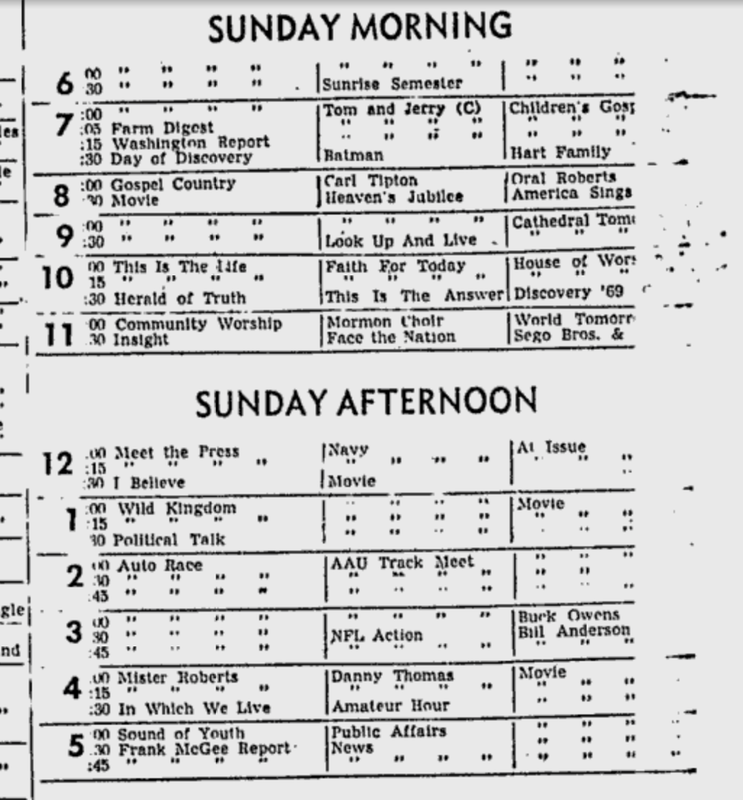 Here's the 1969 Challenge of Champions final, pitting Dianne and Pat for "The Connie." Wikipedia: "Beginning in 1963, Concentration inaugurated a tournament of champions, which pitted the top four contestants of the previous 12 months in a best-of-seven tournament (styled à la the World Series). The grand prize was $1,000, a trip around the world and a special trophy dubbed 'The Connie', modeled after Auguste Rodin's The Thinker. One of the participants in the very first tournament was Brooklyn Dodgers pitcher Ralph Branca, who won 17 games on the show." 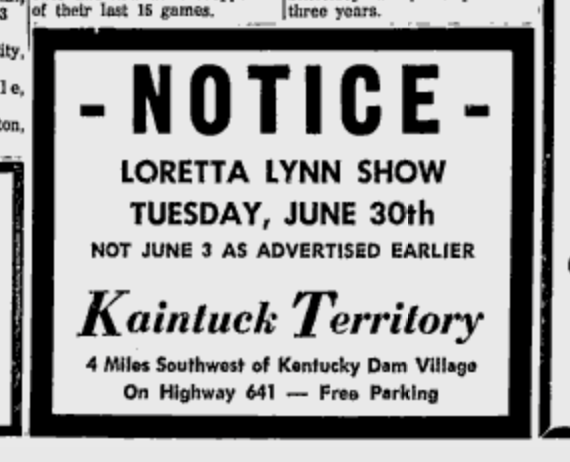 Dianne won 18 regular-season Concentration games, and Pat won 10--but neither won a car. That could end in Game 5 of the best-of-seven Challenge of Champions series. Pat takes Game 5 to take a 3-2 lead int he series, and the car remains up for grab. President Obama should pass a law that all TV shows should have to go back to live organists/orchestras/musicians for their music. It turns out that the immediate opportunity for winning a car has passed. But now in Game 6, both Dianne and Pat are excited when Bob Clayton reveals a chance to win a $1,000 Spiegel-catalog shopping spree. By the way, I think Bob Clayton does fine, and I'm glad NBC brought him back in favor of Ed McMahon. 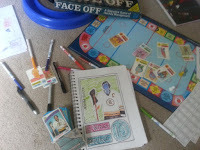 Game 6 goes to Dianne, and we're all locked up at three games apiece for the Connie! I'd love to win a $1,000 shopping spree from the Spiegel catalog, even though the Joe Spiegel family isn't involved anymore. "OH, MY WORD, WE HAVE A BRAND-NEW CHAMPION!" 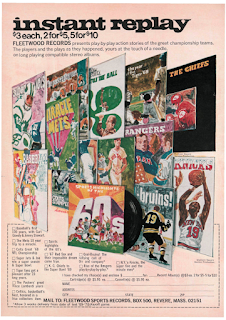 Stony-faced, steely-eyed Pat--with only six of 30 squares revealed, including two blanks!--correctly guesses "Sold to the Highest Bidder" to seize Game 7 and the 1969 Challenge of Champions series. YouTube commenter Red Vynil points out, "I think Diane got rooked!! She won the second to last game, so SHE should've gone first in the last game! !﻿"
"Ginger1" also weighs in on the YouTube comments. She claims to be runner-up Diane Sather's daughter and says that her mom was apparently Concentration's second-highest-ever money winner. Ginger1 does not take up Red Vynil's "rooked" beef. You know, it's challenging to squeeze in your vacuuming during commercials. I love Sugar Ray Robinson. Rest in peace, Jack Linkletter, the co-host of Life With Linkletter who died first. 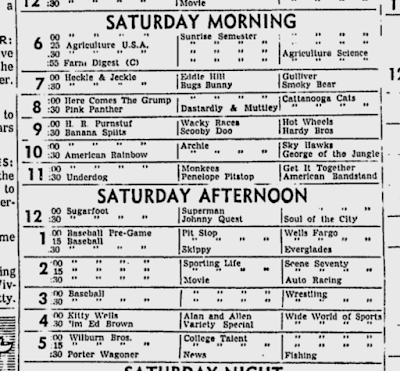 Speaking of baseball, here's Vin Scully, hosting a 1970 NBC game show with which I am unfamiliar, It Takes Two. It's a quiz show. Guest celebrities for this episode are Meredith MacRae, Pat Harrington and Gary Crosby--all now dead. Well, this is a neat spin. 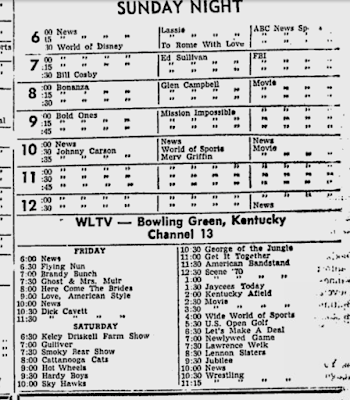 You have the three celebrity contestants and their spouses (except in Meredith MacRae's case today--her husband was busy, so her dad is there) in a studio, probably in California, and then Vin talks by telephone with a remote contestant in an NBC affiliate somewhere else in the United States. In this episode, It Takes Two is connecting with WDSU in New Orleans. OK, so how this works is that Vin Scully asks the three celebritish couples some question where the answer is a number. Then, each couple's two guesses are averaged, and then the person on the phone from New Orleans picks which of the three averaged guesses is closest to correct. The first New Orleans just won a trip for two to Hawai'i by correctly rolling with Gary Crosby and his wife on the number of men per barber in the United States (670, per Vin). 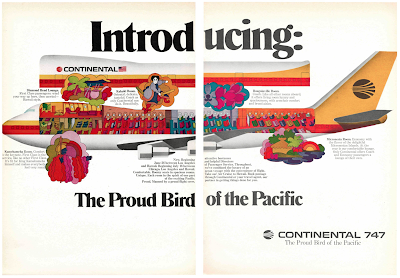 The Hawai'i trip includes a stay at the Rodeway Inn in Waikiki. 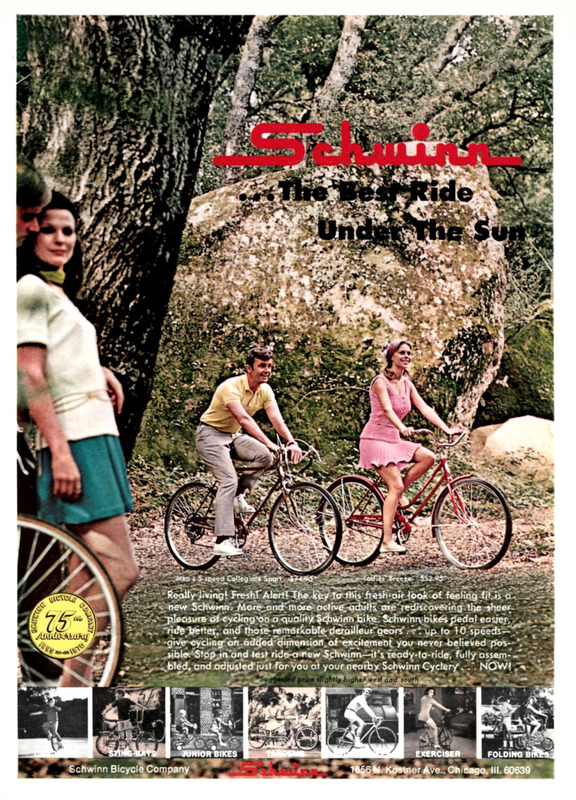 Wikipedia says that chain was founded in 1962 in Phoenix, and, in 1971, it's going to be bought out by another company. Well, that was OK. Vin Scully is a pleasant guy to spend time with, regardless what he's broadcasting. There's a wire report today 1970 that the Redskins' coach, Vince Lombardi, entered Georgetown University Hospital earlier this week with a stomach virus and now will undergo exploratory abdominal surgery. Everything's in reruns, of course. This week's Brady Bunch is the one where the girls move into the boys' clubhouse. I scored 556 on a quiz about this episode. Here's this weekend's Ghost & Mrs. Muir. I love television. Hope Lange, Edward Mulhare, Charles Nelson Reilly, Reta Shaw ... all dead. This world ... I swear. 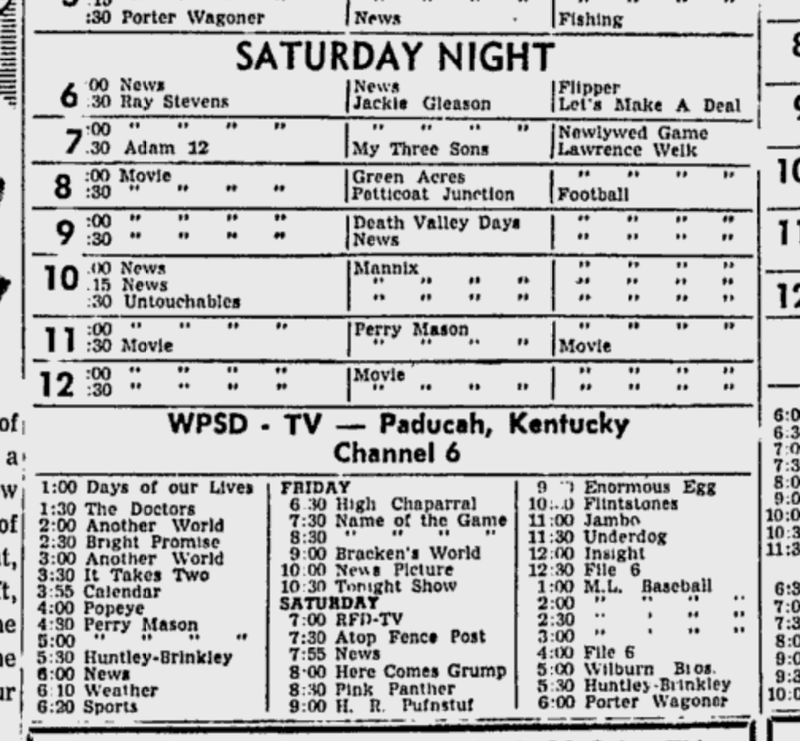 I hope that 82-year-old Florence Henderson, who grew up in Owensboro, is having a fantastic day. As is 88-year-old Vin Scully of the Bronx. It's Meredith MacRae week at the HP. Here she is in a Love, American Style bit. It turns out that Meredith MacRae’s grandmother has been living with a man who is not her husband, in order to save about $50 a month in combined Social Security payments. She’s offering for the family to send money to offset the loss, much to the dismay of the building superintendent, played by Patrick Wayne. Patrick Wayne: Oh, please … please don’t do that. Don’t start sending them money. Patrick Wayne: Because now they’re people. Don’t turn them into dependents. … These people are on their own. They’ve got to make it themselves. And the happy ones do. Ones that sit around in their rocking chairs, waiting for their children and grandchildren to visit, might as well be dead. Unusually gritty Love, American Style storyline in this episode. Debuting at No. 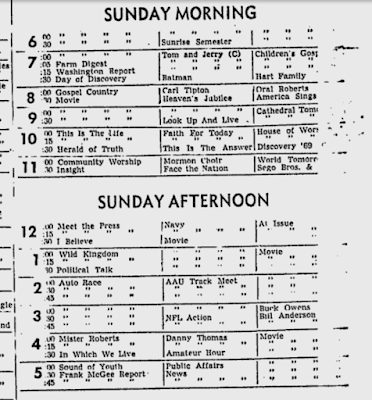 93 in the Cash Box Top 100 for the week ending July 27, 1970: perfect "Hello, Darling" by Conway Twitty. 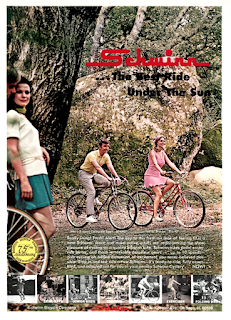 High debut of the week: The Archies, with "Sunshine." The new No. 1 is "The Love You Save" by the Jackson 5, performed in May on the Ed Sullivan Show. The chart's fastest-climbing song is brilliant "Ohio" by Crosby, Stills, Nash and Young. Wikipedia says the song was recorded just 17 days after the Kent State shootings. 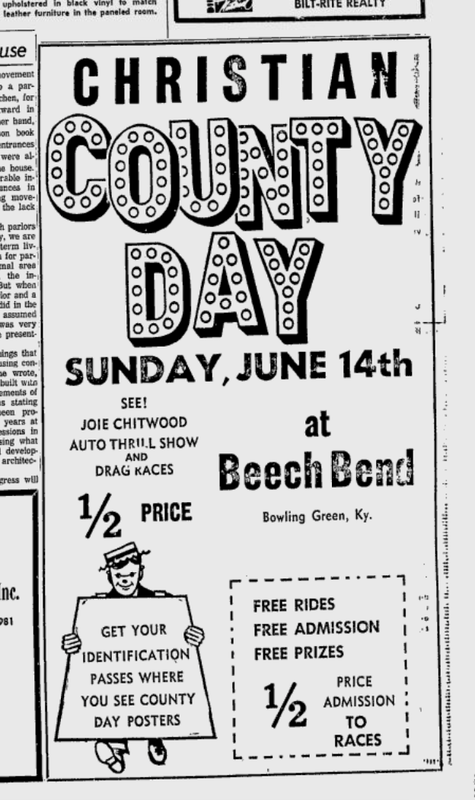 Stephen Stills had already written "Find the Cost of Freedom," and it became the B-side of the "Ohio" 45. 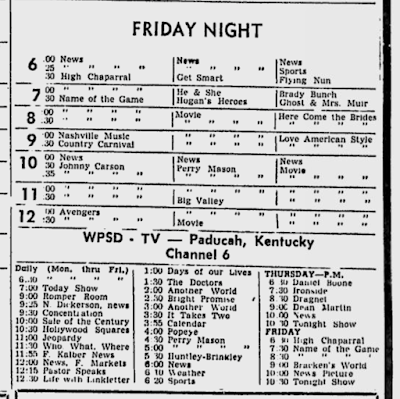 Here's Bob Hope on The Tonight Show June 30, 1970, with guest-host Jerry Lewis. Bob Hope says, "Ninety-five percent of the kids today are in very, very good shape." Jerry Lewis: "We're hearing about what is 3 to 5 percent of the garbage." Bob Hope: "Yeah, you've got to get the provocative stuff." Bob Hope is here to promote a July 4 show he is hosting with Joe Garagiola from Washington. One of the performers is going to be a local up-and-comer, Roberta Flack. And that's it. Bob Hope has to leave. Jerry Lewis calls him, "Robert." 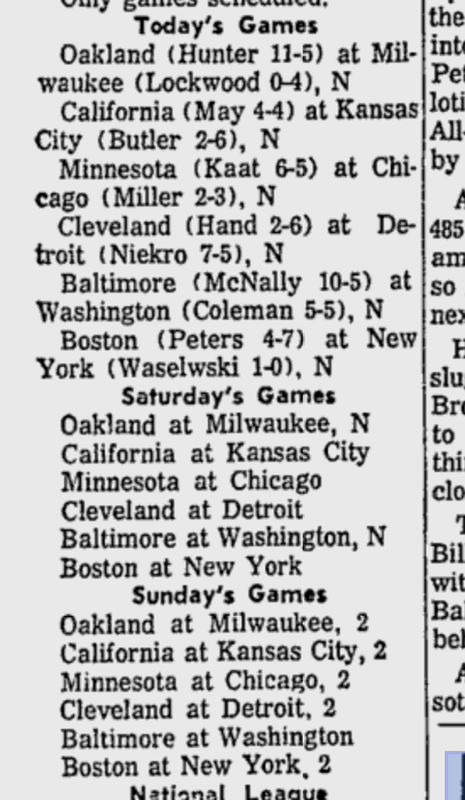 Maybe NBC's Game of the Week July 27 was from the final series ever played at Pittsburgh's Forbes Field. 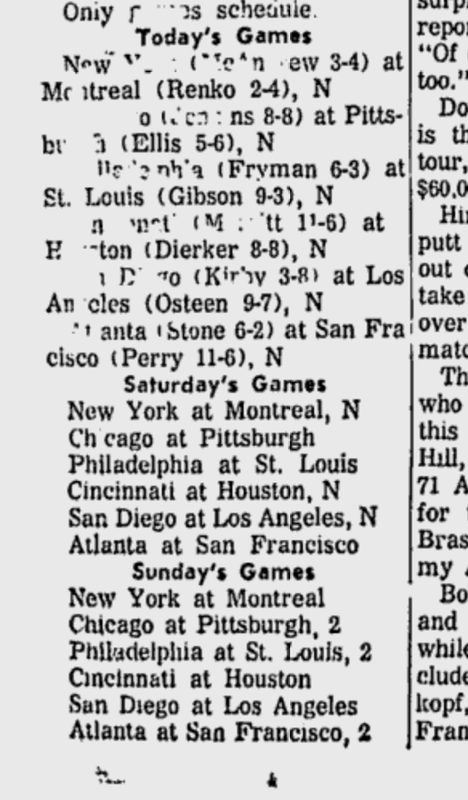 On this Saturday, Dock Ellis and the Pirates beat Ferguson Jenkins and the Cubs, 2-1. 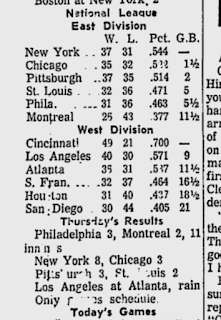 That ratcheted Pittsburgh ahead of Chicago by a half game in the National League standings. 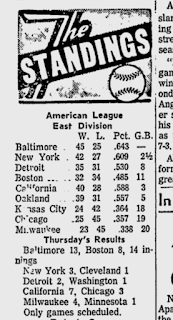 The next day, the Pirates swept a doubleheader, 3-2 and 4-1, against the Cubs. That tied Pittsburgh with New York for the division lead. 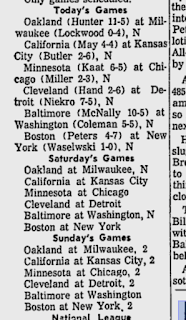 And from that point the rest of the 1970 season, the Pirates went 49-38 to claim the second N.L. East divisional champion. 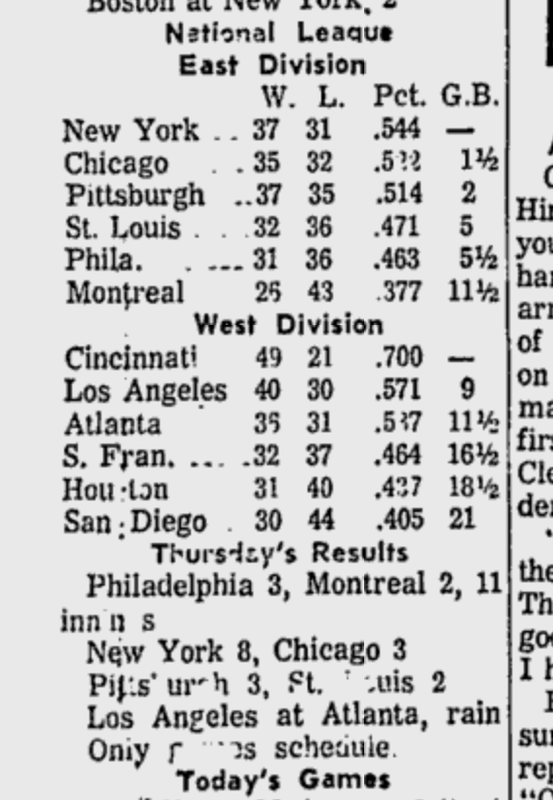 After Chicago and New York had dominated the top of the division to this point in its history, Pittsburgh won five of the next six divisional championships. 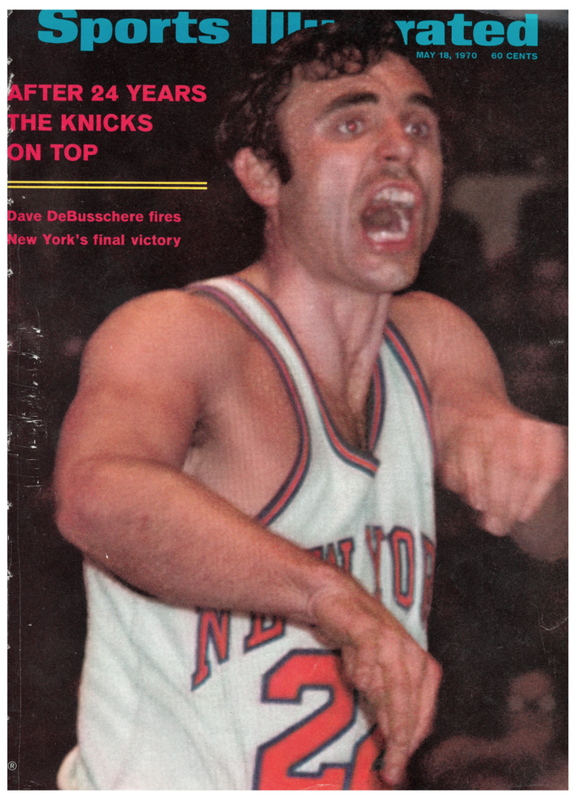 Oh, cool, the new 1970 Sports Illustrated is one of my all-time-favorite covers. When I was growing up, I had a poster on my bedroom wall of dozens of SI covers, and this was one of them on it. 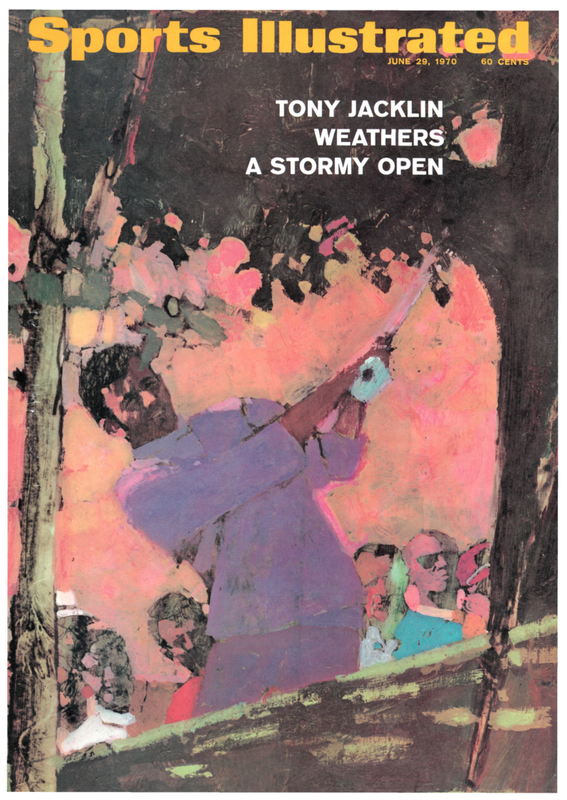 Each cover was too small to read the text on the cover, so I never knew who the hammer thrower was. SI's so seemingly fat and happy in summer 1970 that it does all sorts of frivolous and fantastic things--like putting an AAU-champ hammer thrower on the cover and like devoting several pages in the middle of the issue to tintype images of current baseball players reminiscent of this one from Covington, Kentucky. Recently (photographer Mark Kauffman) stood one up next to Baltimore's Robinsons, Frank and Brooks, and snapped the kind of picture that has not been seen since players wore turtlenecks and rode to the park in trolley cars. Delighted with the effect, Kauffman surrounded some other of today's heroes with rich and assorted relics of our mauve past. The players responded with enough ham to produce on the following pages the handsome album of new tintypes. Ted Williams sounds worn out, managing. It was lunch hour in Montreal, and the outdoor mall of La Place Ville Marie was swinging noisily to the beat of a steel band as thousands of dark-haired French-Canadian secretaries, all wearing the micro-miniest of skirts, paraded around the kiosks, oblivious, it seemed, to the stares of tortured French-Canadian men. Suddenly, though, the mall was still and all eyes were fixed on the tall, red-haired man entering La Place from an adjacent building. A young girl shouted, "C'est Le Grand Orange." -- Hank Aaron thinks Gaylord Perry has given up thrown spitters. -- Rod Carew for first-place Minnesota is out for perhaps 10 weeks after injuring his knee in the field at second base. 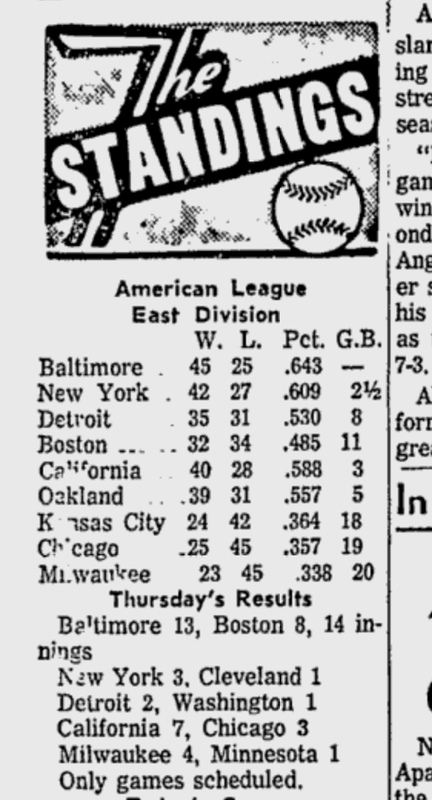 -- Milwaukee's attendance is now ahead of Seattle's 1969 pace. -- "In the 13th inning last Thursday, Frank Robinson of BALTIMORE crashed into the fence, catching a near homer and hurting his back. Unable to swing the bat in the 14th, he squeeze-bunted the go-ahead run in with the bases loaded. On Friday, slightly looser, he hit two grand-slam home runs in two innings." I thought ESPN's five-part O.J. Simpson documentary was fantastic. It would be so terrifying to be a police officer. Buoyed by John Mahaffey's one-stroke victory over Wake Forest's Lanny Watkins for the individual title, the University of Houston won the 1970 NCAA team golf championship--the Cougars' 12th team championship in the last 15 seasons. Also from SI's back-of-the-issue roundup of news items: "THOMAS TIMLIN, 74, football referee, whose career spanned 37 years and four NFL championship playoffs; in Buffalo, N.Y. He was credited with developing the system of hand signals that indicates penalties to the press box and fans. McKinely, died Jan. 4, 1962.
one player was seriously hurt in a game he worked. Rest in peace, Coaches All-America Game (1961-76). 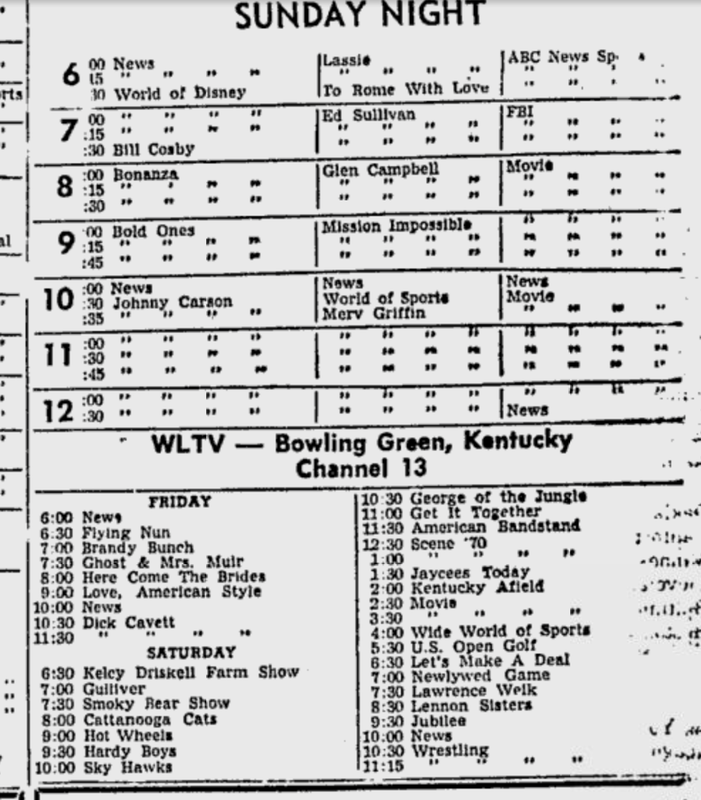 Also, CBS has resumed showing NFL Action on Sunday afternoons, and one of these episodes is going to feature the much-ballyhooed Hank Stram Super Bowl IV film. It has received some special showings at various NFL meetings, and the sportswriters have been going crazy about it. From a Sports Illustrated "Scorecard" column earlier this year: "The Sabols had not asked Commissioner Pete Rozelle for permission to wire Stram, and at the premiere Rozelle said, 'I guess they were afraid I'd say no.' Would he have? 'I don't know,' Rozelle admitted. 'I do know that wiring Stram added a dimension to the film.'" 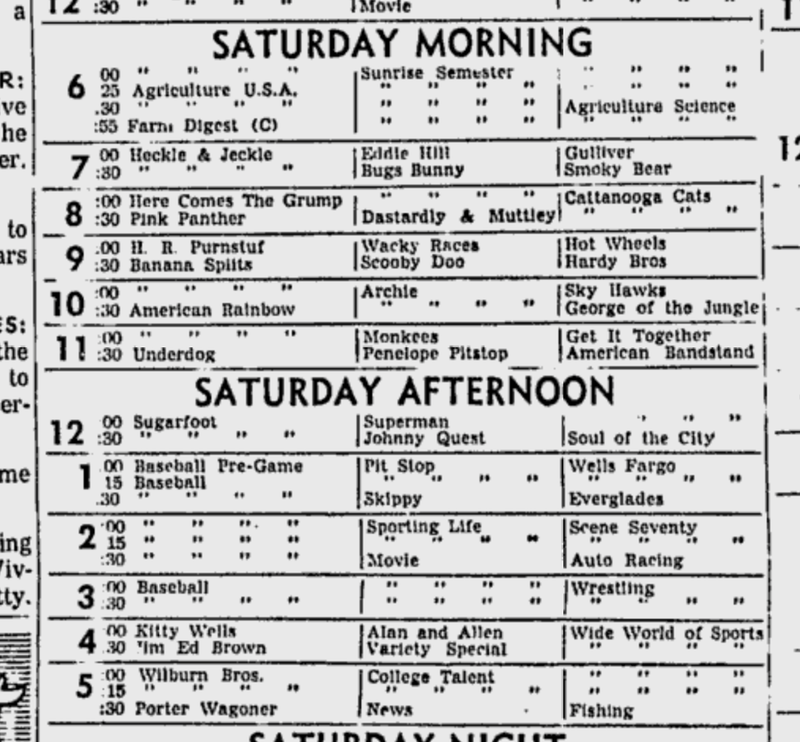 The 1969 Vikings "Missing Rings" episode is pretty good, too. 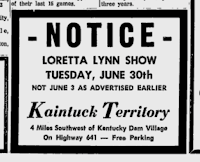 Morganna, The Kissing Bandit, is from Louisville!